Hello! I met you at VVR (ate breakfast with you and Ryan). I take it you made it, congrats. Nice journal posting of your first two days. hiking the JMT in 2010, july. looking forward to reading the rest of your journal…great site! Hi Chris. Thanks for reading. You’ll have a great trip this summer. Hi Kevin, I can’t tell you how much I’ve enjoyed your blog. I’ve passed it on to a bunch of friends who plan on doing the same hike. Thank you for sharing your experience with the world! I’m sure it was life changing. My wife and I are doing our first section (technically second) if you count hiking to the summit of Mt Whitney which I guess you don’t. On June 17th, we’re hiking from Tuolumne meadows to Happy Isles (reverse) cause it was easier to get the permit. We are syked. Can you tell us where you’re first campsite was near the clouds rest junction? All the best Kevin and please keep updating your adventure! and scroll to the bottom to the comments. Let me know if you have other questions. I’d be glad to help. Your journal entries and pictures are great! Dave, thanks for the compliments. Hi Kevin–I lost your site for a while (changed computers). I looks like Lucky Dog and I where heading out over Kearsarge Pass for a resupply the day you got ahead of us. Glad to see you finished and all went well. I received and email from your sister today regarding my journals. Nice of her. Hi Don. My sister is a big fan of your journals, and she doesn’t even like hiking. I read that you will be doing the JMT again this Summer with Tom. Enjoy your time and send him my regards. Just read your journal of your JMT thru-hike and really enjoyed it! Thanks for posting it! I am starting my JMT thru in another few weeks and reading about your adventure has gotten me even more excited about it. Enjoy your upcoming trek on the West Coast Trail. I did that a few years back and it’s a spectacular walk! Keep your fingers crossed for some dry weather. Jenn, thanks for reading my journal. Have a great JMT experience! Nice. I am going to do the JMT this summer sometime in July or early august. Any remnants nets of snow while u hiked in August? The only slow I had to step on was a tiny 4 or 5-feet stretch while coming down of Muir Pass (if I remember correctly). Other than that, no snow at all. But I think it is different every season depending on winter snowfall. 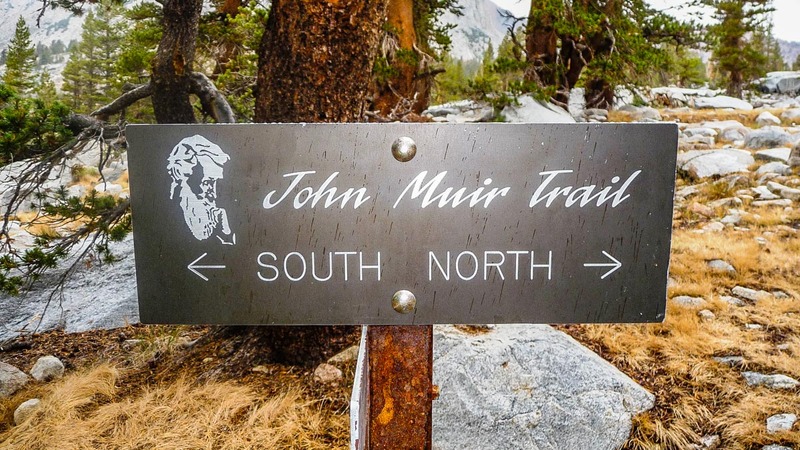 I like the photo of the John Muir Trail sign! Would you email me about my possibly using it in a book? Kevin, I have used and enjoyed your blog so much. I am planning my JMT trip this summer and cannot wait. I have to laugh, because we live relatively close. I have been in REI quite a bit lately, and could have sworn I saw you. Too funny. I was raised in Fullerton. Anyway, now I am in Corona. Thanks for sharing. Hi Diana. The last time I was at REI was in November I think, in the Arcadia store, so whoever you saw was probably not me 🙂 I’m really considering doing the JMT again this summer. Just trying to decide if I want to spend all my vacation time in one place. I really enjoyed reading your JMT journal. I hope to start planning my trip to the JMT in the next few years. Can you please tell me what type of camera you took with you? The pictures were amazing. Thanks! Hi Becky. Thanks for the comment about my pictures.I used the Panasonic Lumix DMC-TZ-5. I really didn’t know much about photography back then, but that camera was able to take decent pictures despite of that. It has been discontinued. The newest version of that same camera is the Lumix DMC-ZS30. You might want to look into the older ZS20 as well, which is much much cheaper. Kevin, thanks for putting together this journal. It was a great help in planning campsites and daily hiking distances. This was the best journal I’ve found. I’m starting from Happy Isles in two weeks and plan to complete the trail in 22 days. My schedule is slightly different from yours up to MTR, but after that, I hope to be following the same timeline as you did. Hi Ryan. Thanks for the message and I’m happy you found this blog helpful for your planning. I’m sure you’ll enjoy your time out there. Thanks Kevin. I used your site to help me plan for a JMT trip I just completed. Check out my site at http://www.calikota.com. Hope the round-the-world trip is going great!!! Thanks for the comment. I checked our your great blog and your journal. The JMT in 10 days is really a great accomplishment! I’ve learned about PCT about 2 years ago, but about JMT just recently and I just found your site! I decided to hike JMT in the coming year or two. While looking at the topo map I’ve noticed that PCT and JMT split at Thousand Island Lake and they come together later on (just before Devils Postpile Monument). Which way would be more spectacular, any pros or cons? Hi Peter. I’ve only done part of the PCT (from Thousand Island Lake to Agnew Meadows) in that region, but I think the JMT should be way more scenic since it passes through Garnet Lake, Shadow Lake, and a bunch of other smaller lakes. I’m impressed of your blog. It’s very interesting what for beautiful places you’ve seen. My worldtrip will start soon. 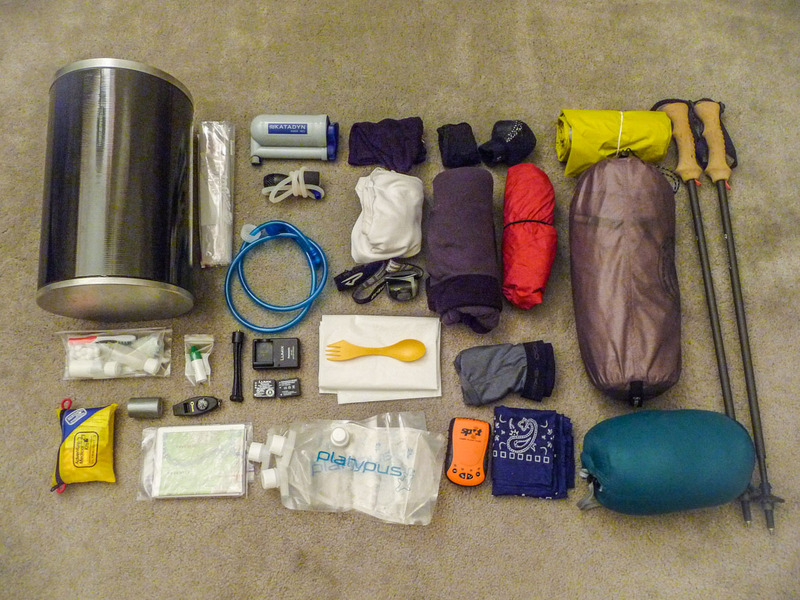 Im’ going on the west coast trail july 3rd. Unfornuatley I got 7 times denied for the john muir trail for august or september. Now I’m looking forward for some backpacking trips in Yosemite in september. 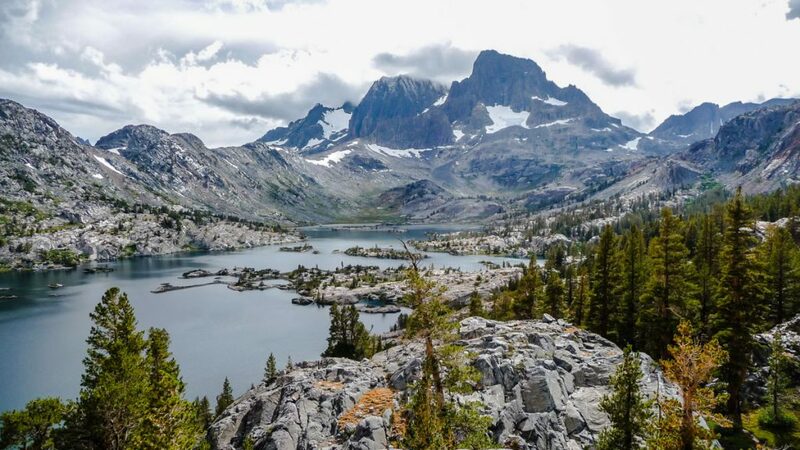 1 to 3 days backpacking trips like the ansel adams wilderness or just in Yosemite. I’ve seen that I need a permit for backpacking trips. So my big problem is: Do I need to book a permit in advance or can I just go to Yosemite and do First-Come, First-Served Permits ? What for 2 days, 3 days trip can you recommend me in Yoesmite? Hi Rene. I heard of many people successfully getting permits for the JMT on standby. You need to go to Yosemite Valley and stand in line very early in the morning. You might have to wait 1-2 days and camp in the valley in the meantime, but if you really want to do it, that’s the way. Unfortunately I don’t know many trails in Yosemite. 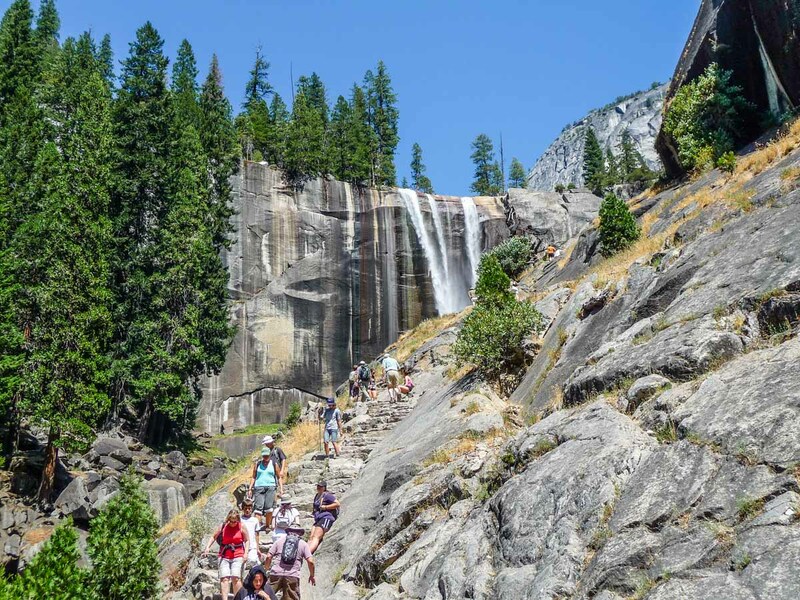 I’ve only done the Mist Trail (a day hike) which is also the beginning of the JMT. Always try to book in advance if you can. Yosemite is incredibly crowded, but as a last resort you can always try to get permits once you are there (from other people’s cancellations). Also, you could base yourself in Yosemite Valley and just do day hikes each day (also as last resort). It’s also hard to get campsites there, but Camp 4 gives spots on a first-come-first-serve each morning. You just have to show up very early.